Contest! Win a 20 X 30 signed print! Like every blogger out there I am looking to increase traffic to my site. Therefore, I am going to be holding a contest. The contest award is a signed print of one of my images. The winner of the contest will be chosen by drawing, from a pool of the first 100 followers of www.billysauerlandphotography.com, including all current followers, that will take place on the evening of January 6th. At which point, the winner will be contacted for mailing or delivery information. So the photo that will be given away is a 20 X 30 print of an image I captured on my last trip to Yosemite. 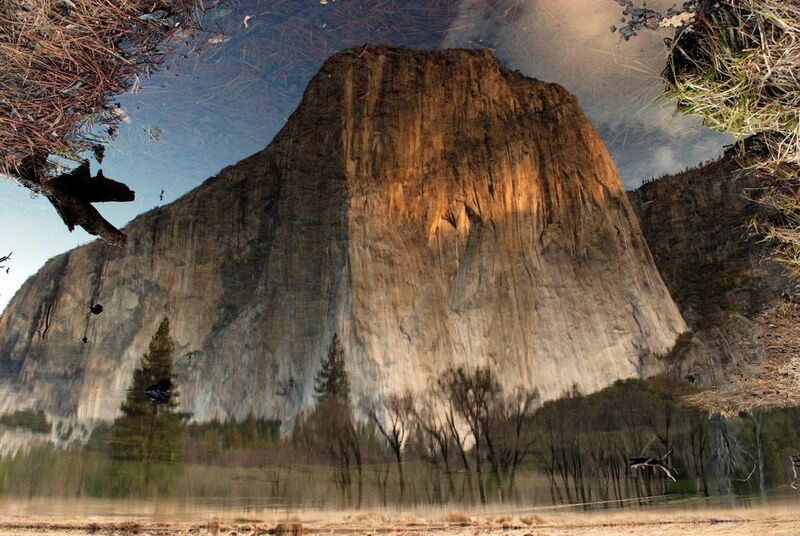 The photograph depicts the reflection of El Captain being carried on the surface of the Merced River. I have been struggling with this idea for sometime now. There is an ongoing discussion on this topic. Some saying that using contests to drive traffic is a gimmick that doesn’t really equate to real readership, because they are being drawn by the contest and not your content. While others say no matter how you get them there, the readers that have come, have seen your content and therefore builds exposure for you and your photography. So I thought I might try to bridge the two camps, by offering a contest that rewards a reader with one of my photos, since my photography is the content. I don’t know about “exquisite” or “sophisticated” but if I had a few thousand dollars, I would probably spend it on a plane ticket to somewhere I haven’t been yet. Or donate it to the local food bank. What would you do with a few extra thousand dollars? ← 2012 December FREE Wallpaper!